Boca Raton Football Club is looking for local and international talent to add to its 2016 rosters. The club will be looking for players age 18 and over to fill rosters for their U23, U20, and APSL squad for the 2016 season. The open tryouts will be held at Sand Pine Park (300 Newcastle St, Boca Raton FL, 33487) on March 19, check-in will be at 8 a.m.
Boca Raton FC will be one of the teams that are participating in the 2016 Lamar Hunt U.S. Open Cup after defeating a pair of APSL rivals in order to earn a berth in the most prestigious tournament in the United States. Boca Raton FC is the only amateur club from Florida to make it to the tournament and will play its first round match on May 11. The tryout date at Sand Pine Park (300 Newcastle St, Boca Raton FL, 33487), is Saturday, March 19 at 8:00 am. Male hopefuls, aged 18 and over, interested in attending the Open Tryout must pre-register and can do so by heading over to www.bocaratonfc.com/tryouts. The registration fee to participate in the tryout will be $90 per player, and must be made online during the registration process. Spaces at the open tryouts will be limited and by pre-registration only. 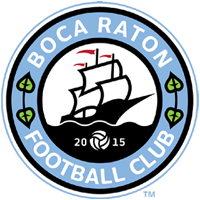 Boca Raton FC is an up-and-coming soccer team in the APSL, semi-professional league in the US. The team’s mission is to develop, enhance and help the soccer’s evolution in the United States, while also opening doors for their players to reach the professional level. Ever since the team’s inauguration, Boca FC has been reaching and achieving greatness, not only on the field but off of it as well. On the field BRFC was the APSL Champion two seasons in a row, taking only one loss during both seasons, and breaking all home game attendance records for the APSL league in Florida. Off the field, not only by the media but also by other teams in the APSL league, as one of the teams achieving the highest level of success during their opening season.